Wisconsin Governor Tony Evers on Thursday ordered the state’s attorney general to “take whatever steps are necessary” to withdraw from the Republican-led multistate suit against the Affordable Care Act. The Democrats, who last November defeated ACA critic Scott Walker and his Republican attorney general, had been prevented from taking such action until Thursday, when a Wisconsin judge blocked laws that Republican legislators had passed in an effort to undermine the authority of the new governor. The fast work by Evers and Kaul offered an illustration of the importance of the high-stakes struggle for power in the states where Democrats made historic gains in the November elections, and what that struggle means for national politics. President Trump stands in the way of progress in Washington, and will likely do so until the voters end his miserable presidency. But Democratic governors have the potential to upend conservative hegemony at the state and national levels, improving the lives of tens of millions of Americans and establishing models for what can be done nationally. Republicans know this, and they have done everything in their power to obstruct and undermine a number of the Democrats who were elected in November, when the party’s candidate grabbed governorships away from the GOP in Illinois, Kansas, Maine, Michigan, Nevada, New Mexico, and Wisconsin. Nowhere has the Republican scheming been more intense, and abusive, than the home state of former Governor Walker, the anti-labor zealot who after a failed presidential bid sought a third term as governor. Wisconsin voters booted Walker from his post last fall, electing Evers, a progressive Democrat who served as the state superintendent of instruction. It was not the only statewide win for Democrats, who swept every statewide contest on November 6. In an attempt to prevent Evers from governing effectively, Republican legislative leaders used an extraordinary lame-duck session of the legislature to enact a series of measures that took away powers from the governor and the attorney general. Now, a court has agreed with Holder, issuing a decision that has significance for Wisconsin and for the nation. Evers seized the opening to initiate the withdrawal from the ACA lawsuit. 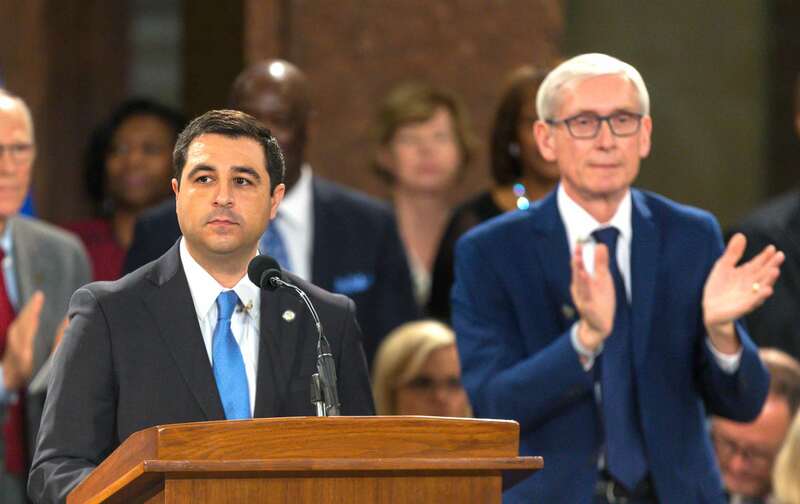 But, if the judge’s determination withstands Republican challenges, the ramifications will be far greater for Wisconsin and for the fight to use the states as laboratories of democracy in the Trump era. This was reflected in the response of Chris Carson, the national president of the League of Women Voters of the United States, to the Wisconsin ruling. Carson is right. There will be much legal wrangling over the decision by Judge Niess. The same Republican legislators who engaged in the lame-duck power grab expect to find an activist judge—or court majority—that will upend the state Constitution in order to achieve their political ends. But Evers is ready and willing to govern with the authority that the state Constitution and the voters of Wisconsin vested in him.